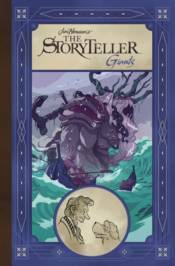 The critically acclaimed Jim Henson's The Storyteller: Giants includes four mythic tales of when giants roamed the Earth, inspired by folklore from around the world and told in the spirit of Jim Henson's beloved television series. Includes exclusive behind-the-scenes art and more! Collects the complete limited series.